I want to make an offer on a brand new house I found. Should I hire a real estate agent? Here are some questions only you can answer to help you decide what is best for you. Consider them, and if you still have questions, please contact me again. Reader Question: I’m looking to negotiate a brand-new home purchase. It was built by a fairly large builder in a new neighborhood. Trying to figure out if a buyer’s agent can save me money, or will cost me money because of the three percent the onsite agent is going to lose. Also, when buying a new home from a large builder, how much do they normally deal off asking price? I’ve seen a very wide range of dollars per square foot in this neighborhood, and I’m not sure where to start an offer, or what’s realistic. I don’t have a Realtor, or buyer’s agent. Would I be wise to get one? Or would I get the house for less money just dealing with the listing agent selling this neighborhood exclusively? The definition of a large builder is unclear. In some markets fifty houses a year is a large builder, in other markets it may be a thousand homes or more. Understanding the relative size and operations of the builder may offer clues as to their policy on negotiations. Like all other businesses, home builders can make mistakes, or market conditions can change, in which cases policies can be compromised. A new neighborhood often means multiple contractors. How many total lots are available now and how many new lots are in the works? Is the developer of the lots selling exclusively to one builder? Is the builder also the developer? Have you compared this builder to builders in other developments? Understanding the master plan, the sales rate of the new construction, and any competition between builders provides an edge. Contact the municipality or the county to gather helpful information. Neighbors may also be a good source. Research the cause of these wide ranges in price to pick comparable sales. Some probable answers are that different styles of homes cost more to build. 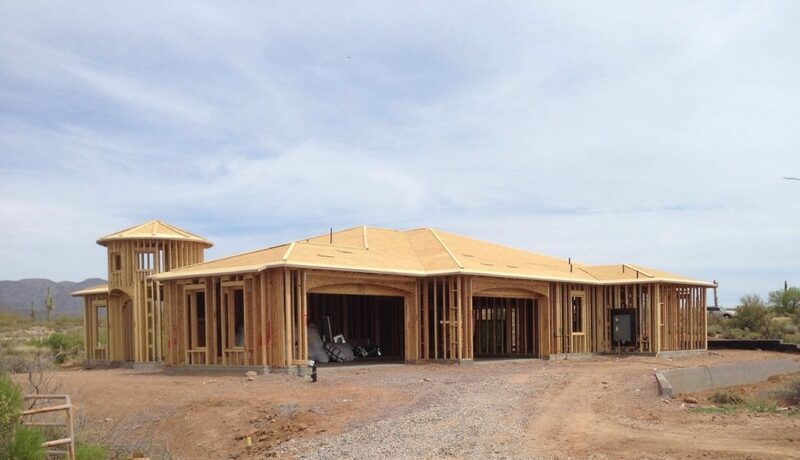 A two story home is less expensive to build than a ranch style home of the same size. The location of the lot in the subdivision is another factor that may influence the cost per square foot as the lot is included in reported sale prices. Some lots have features that command a price upgrade. A third influence could be multiple builders. Some builders use different materials, different overhead costs, and value their time differently. An all-brick home costs more to build than one with a brick front and clapboard siding. The relationship the listing agent maintains with the builder may be a factor. Larger builders often pay licensed agents differently to represent their product, and no other products. One potential issue that builders who prefer these exclusive relationships want to avoid is called “procuring cause.” Procuring cause is a real estate doctrine that decrees the agent who introduced the property to the buyer is the procuring cause, and therefore entitled to the sale commission. The buyer agency agreement most likely contains language that states if the buyer agent cannot collect the sales commission from the seller or the listing broker, that you are responsible for their compensation. Consider investigating how the listing agent’s arrangement with the builder treats procuring cause. The key is understanding two important factors. You have to know how the market is behaving, and you have to know the “range of value” the home you are interested in buying occupies. Focus on discovering the answers to these two questions and you will be in a strong position to know how to negotiate with the builder. Determining the answers require time and effort. Ask yourself if you have the expertise, resources, and time to complete the task? If you can do the work, you may only need a qualified home inspector to render an opinion as to the condition of the home upon completion. If you can do the work, but do not have the time, consider identifying a real estate agent that understands buyer agency requires a written agreement who will work with you to find the answers to all the questions and negotiate on your behalf. You should interview three candidates (include at least one exclusive buyer agent) and each of them should also be experienced with new construction.